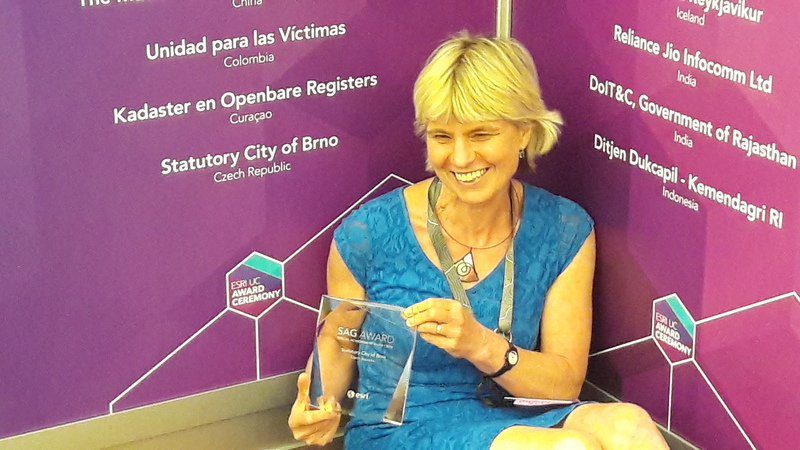 Digital Map of Brno was presented with prestigious award - T-MAPY spol. s r.o. On Wednesday, June 29, the Special Achievement in GIS (SAG) awards were handed out at the annual Esri International User Conference in San Diego. According to Esri web pages, SAG awards are presented to organizations that use GIS to improve our world. Recipients of the SAG award are submitted by Esri staff from thousands of organizations worldwide, then personally reviewed and selected by Jack Dangermond, the president and founder of Esri. We are very happy that one of the awarded projects for this year is Digital Map of Brno (DMB). For more information on DMB project see 2016 SAG Award Winners web. SAG awards are presented to organizations that use GIS to improve our world. 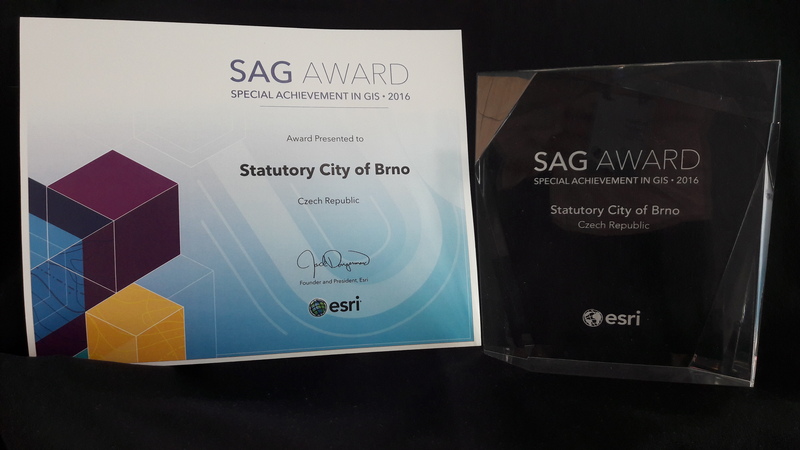 It is the second time the City of Brno was awarded with SAG prize. One of the most important benefits of the DMB project was spatial data harmonization. In the following video you can see precise alignment of various map layers. DMB project is the fourth project that we cooperated on that was awarded with SAG (2012: Information System of the National Map Series, 2010: Digital Map of Prague, 2009: Geographic Information System for City of Brno).